What Was Your Training to Become a Board-Certified Oral and Maxillofacial Surgery? Dr. Moreland’s college career got its start at the University of Missouri. After completing his undergraduate degree, he chose to attend Washington University in St. Louis, achieving his Doctor of Dental Medicine degree. He then underwent a one year General Practice Residency at the Washington University Medical Center and the Jewish Hospital of St. Louis. What Kind of Advanced Training Do You Have? Becoming an oral and maxillofacial surgeon requires years of additional training and dedication beyond the typical dental school experience. Dr. Moreland’s pursuit of this specialty education began in Pittsburgh, PA, where he underwent a dedicated program at the St. Francis Medical Center. He is very appreciative and grateful to the training and guidance of the program director Chester J. Chorazy, DDS, MS during this time. The focus of the residency training involved the treatment of conditions regarding the face, jaws, teeth, and associated structures. He also spent significant time working in medicine, general surgery, anesthesia, critical care, and pathology. 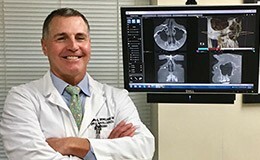 During his final year of oral and maxillofacial Surgery training, Dr. Moreland worked a two-month rotation in trauma care at Jackson Memorial Hospital in Miami, FL under the direction of Stuart N. Kline, DDS and Robert Marx, DDS. Dr. Moreland earned his Diplomate status from the American Board of Oral & Maxillofacial Surgery in 1989. Since 1987, he has also been on staff at Mercy Hospital – St. Louis, serving for many years on the Quality Assurance Committee for the Departments of Surgery and Dental Medicine while also participating heavily in the Emergency Department, caring for patients with major facial trauma and serious head/neck infections. 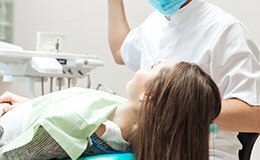 Additionally, he’s served as a State Examiner for the Missouri Dental Board specialty licensing examination in oral and maxillofacial Surgery since 1995 as well as an examiner in general anesthesia office licensing. Here in his St. Louis specialty practice, In his St. Louis County Oral and Maxillofacial surgical practice, Dr. Moreland provides an extensive range of office based surgical care. 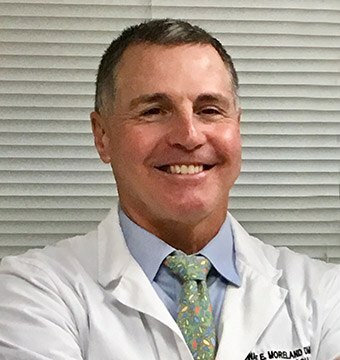 His particular clinical interests include the surgical management of impacted wisdom teeth, the treatment of associated infections and tumors, surgical dental implant placement, and reconstructive surgery.